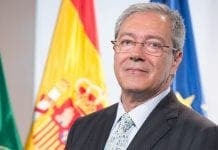 THE Andalucian Councillor of Education, Luciano Alonso announced that the region will have to pay €395 million more than expected to finance the Law to Improve the Quality of Education (LOMCE). 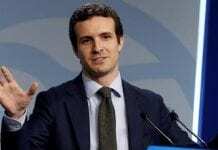 The cost differential comes from a “miscalculation” in the reform’s budget on the part of Spanish Minister of Education Jose Ignacio Wert, who spearheaded the controversial law. According to Alonso, who conducted his own calculation of the budget, the reform will run Andalucia €584 million as opposed to Wert’s predicted €189 million. LOMCE plans to address Spain’s 25% dropout rate by centralizing education as well as opening up increased vocational tracks for students. LOMCE has been extremely controversial since its creation, as it has been under fire for depriving teachers of the freedom necessary to cater to student’s individual strengths, as well as for its high cost. Many feel that Spain simply cannot afford such reforms. Wert maintains that none of the €395 million will come from Andalucian state funds, but rather will be covered by the European Social Fund. Wert is a wart on the education system of Spain. Perhaps the money could be recoverd by resyphon som of the money stolen by the politicians.